Kennards Hire Beenleigh has been crowned Branch of the Year for 2018. The southeast Brisbane branch outperformed more than 170 other Kennards Hire branches across Australia and New Zealand to take out the title for the first time. Achieving the highest Quality Operational Management (QOM) score of 97.3%, the Beenleigh, QLD branch came out on top for both their exceptional operational standards and customer service. 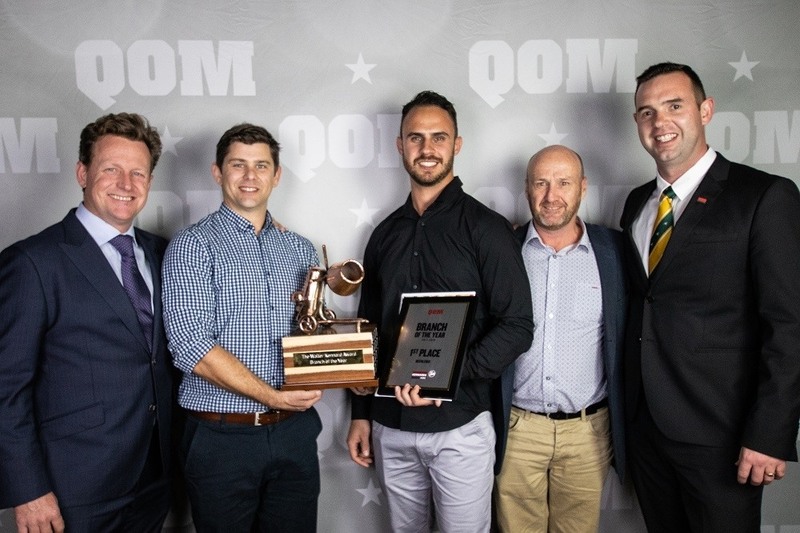 Lift & Shift Hindmarsh, SA was the runner up and Rail Brendale, QLD was awarded third place at the equipment hire company’s awards night finale on Wednesday, 5 September at Crown in Melbourne. Beenleigh Branch Manager, Alex Hoffman, said, “It’s a real achievement to receive the Kennards Hire Branch of the Year Award for the first time. We’ve got almost 30 branches in Queensland so to top the list of those, and then receive the company wide Branch of the Year Award, is really something. Developed by Andy and Neville Kennard back in the late 1960s, QOM plays an important role in maintaining the Kennards Hire culture and standards, ensuring the procedures and processes used at any branch mirror the rest of the business. Each branch is evaluated on their safety, equipment, premises, management, telephone skills and customer satisfaction to ensure they are always delivering the best service to all customers. This year, QOM has reached its 50-year milestone and there are now 10 full time auditors across both Australia and New Zealand, who complete audits three times a year, do in-branch training, elevated work platform training and competency assessments.